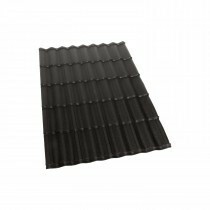 If you love the appearance of a traditionally tiled roof but want to cut labour costs and time, our tile effect roofing sheets are ideal. They have been carefully crafted to mimic the appearance of natural slates and concrete tiles. Meanwhile, their metal construction allows them to provide unrivalled durability and be significantly lighter than traditional roof tiles. 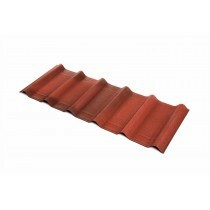 Much like traditional roof tiles, our range of tile effect roofing sheets are available in a selection of gorgeous colours. These include a bold red, minimalistic charcoal and more. You also have a choice of finishes, such as a modern smooth or traditional granular appearance. This choice of colours and finishes allows you to add a unique twist to your property. 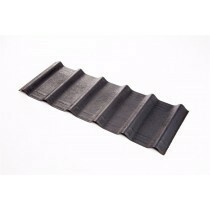 Our tile effect roofing sheets are crafted from 0.6 – 0.9mm steel in most circumstances. They will therefore not chip or crack throughout their lifespan and are able to withstand significant weight. 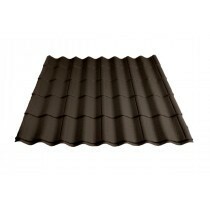 Due to their specially formulated coatings, many of these roof sheets are protected from rusting and discolouration. Their protective coating also prevents scratching, which can be caused by falling debris from nearby trees etc. 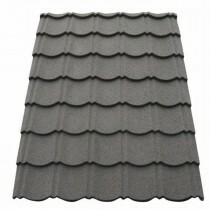 Slate and concrete roof tiles place significant weight on the structure of your property. This prevents them being used on some smaller, weaker structures. This includes conservatories, lean-tos and garden buildings. Due to them being crafted from steel, our range of tile effect roofing sheets are lightweight. 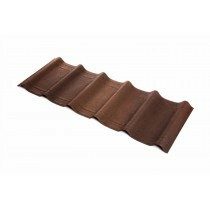 You can therefore indulge in the gorgeous appearance of traditional roof tiles without having to worry about the weight. This allows you to fit them onto virtually any building type. With only a handful of fixings and flashings being necessary, installation of tile effect roofing sheets is speedier and easier than traditional roof tiles. This allows you to reduce the labour cost and, if you’re feeling confident, even fit them yourself. You won’t need any specialist equipment and will receive an installation guide with each of our roofing sheets. Have Questions About Our Tile Effect Roofing Sheets? 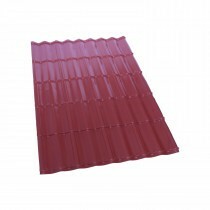 If you have questions about our range of tile effect roofing sheets, simply speak to our team online or by telephone. 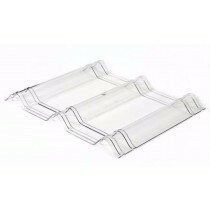 They’ll help you pick the ideal sheet for your project and will ensure you have each of the necessary accessories.